RECOMMENDED GENRES: fantasy, horror, thriller, reference non-fiction. Fathur is a professional book cover designer with over 7 years of experience, meeting needs of some of the most demanding clients. He has earnt rave reviews from new and seasoned authors in every conceivable genre, for his talent of adapting their vision into eye-catching book covers. 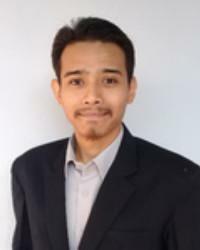 Fathur is fluent in English, Indonesian and Arabic. If you would like Fathur to get in touch about your book, please fill out the form below and we will pass on your information - he will then be in touch with you shortly. WHICH GENRE DO YOU CONSIDER YOUR BOOK TO BE?